Are you checking Edogawa City Baseball Stadium? Baseball is very popular in Edogawa City. This stadium is not so large as professional baseball games can be held. However, many historical amateur games have been continuously held at this Edogawa City Baseball Stadium. the greatest game among the Japanese high school baseball games, is held. 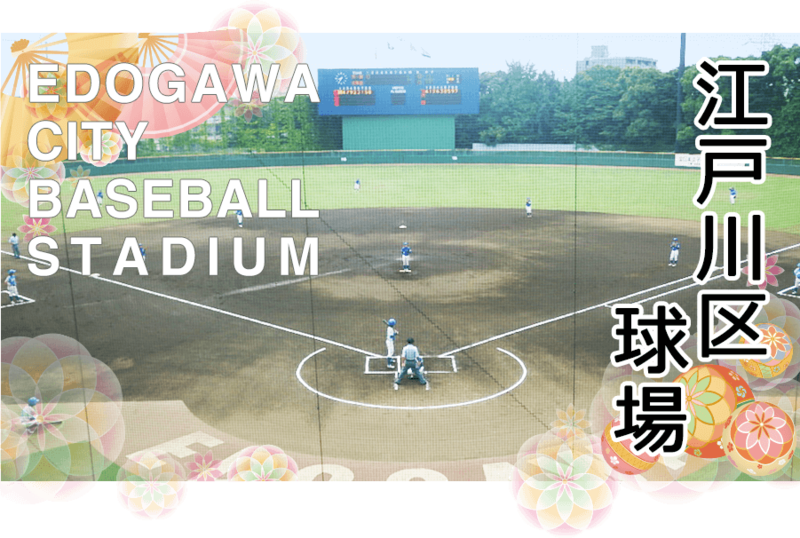 ○ Would you like to enjoy baseball games at the Edogawa City Baseball Stadium? You can see most of the games from the spectators’ stand. Please enter from the “3-A” stairway of the Edogawa City Baseball Stadium and take your favorite seat. There are two cases that admission is free and that admission is charged. In case that admission is charged, a day ticket of about ¥800 is necessary. You can buy the day ticket at the ticket office of the “3-A” stairway. No baseball game is held on rainy days. Please pay attention to foul balls.